The Nigerian Naira rebounded against the US dollar across all the forex segments on Tuesday, after previously reaching a record low of N350.22 at the interbank market on Monday. The local currency improved N44.95 at the interbank market window to close at N305.27 to a dollar, from Monday’s record-low of N350.22. 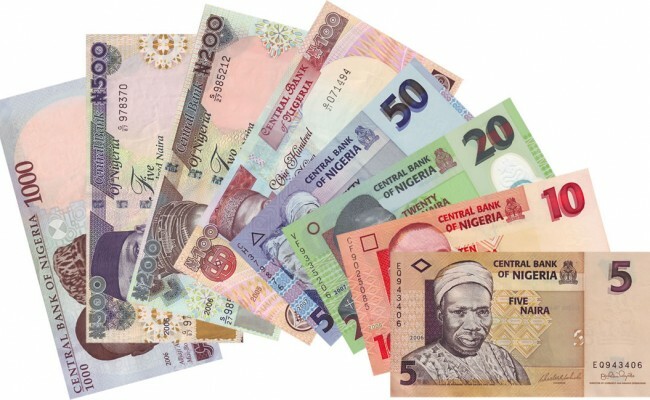 At the parallel market, the Naira appreciated N5 from N470 it traded on Monday to exchange at N465, while both the Pound and the Euro traded at N565 and N510 respectively. Accordingly, the Naira climbed N1 against the Pound Sterling to exchange at N564 at the Bureau De Change segment, while the Euro remains N510 to the Naira. However, the Naira maintained its CBN-Bureau De Change stipulated exchange rate of N358 to the US dollar at the Bureau De Change segment. Speaking on the current improvement, Alhaji Aminu Gwadabe, the President, Association of Bureau De Change Operators of Nigeria (ABCON), asserted that the Naira would appreciate even further in the days to come. According to the President, the CBN was working with Nigerians in Diaspora to facilitate more remittances to complement current liquidity in the foreign exchange market. It should be recalled that the CBN apportioned $660 million to the manufacturers across the country on Monday, all in an effort to boost the liquidity in the forex market and ensure the Naira continues its current recovery. Also, more International Money Transfer Operators had indicated interest in facilitating the repatriation of remittances from abroad.